In our new series of longer conversations, ‘Bethnal Green; After Hours’, we’re shining a light on all of the fantastic businesses that make E2 such a vibrant place to be at night. The pubs, the clubs, the galleries, the restaurants & the bars – new & old – we’re blessed as an area with some hidden gems and some straight-up institutions that fly the flag for the ever changing, ever-beloved East End. First up, we caught up with owner Paddy Walsh, from Cambridge Heath Road based music venue Redon. We’re lucky to have such a generous & knowledgeable music man in our midst – nice one, Paddy! ● Hi Paddy, thanks for sparing the time? what you up to today? Monday is my day of rest. After a hectic weekend at work, it’s the perfect time to put my feet up and enjoy the sunshine. ● Tell us a bit about Redon – how big is it? where is it and what’s the vision? 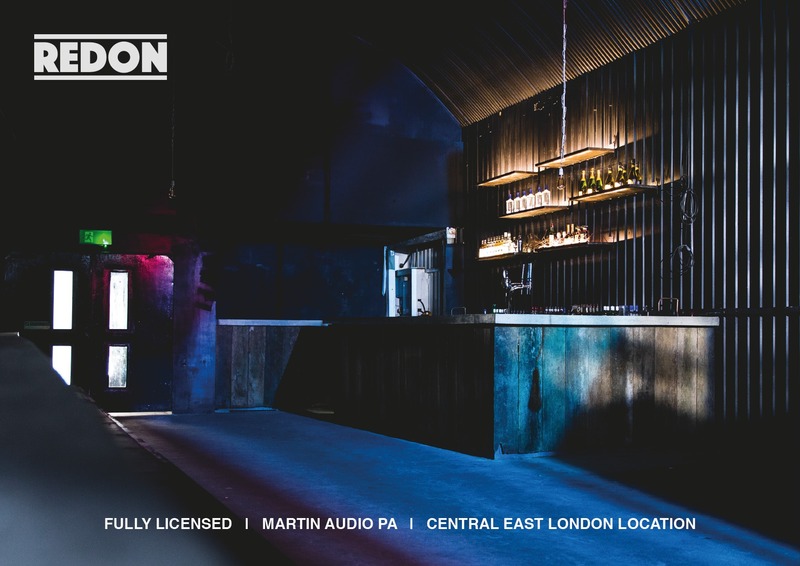 Redon is a 250 capacity music and performance venue, located in a Victorian railway arch on Cambridge Heath Road. The vision was to create a no-nonsense live music venue with excellent sound quality and a well stocked bar. Over the years I’ve been to so many gigs that were ruined by poor sound quality, so getting the sound right at Redon was the first priority. We have installed a brand new Martin Audio PA, which sounds beautifully warm and clear. The decor is by no means flashy, but the space feels very atmospheric and intimate. In my opinion it’s a great place to watch a gig. 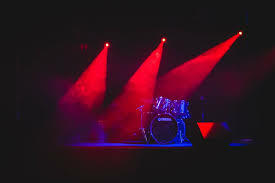 Lots of London venues have been closed down in recent years, often due to complaints about noise pollution. With this in mind, we extensively sound proofed the venue so that we can play music at a decent volume without disturbing our neighbours. In case you were wondering, the name is a tribute to my favourite artist: the French symbolist painter Odilon Redon. ● Why Bethnal Green? Have you got a particular affinity with the area? I love Bethnal Green. I’ve lived in the area for 14 years, and seen it change a great deal during that time. Gentrification has had a massive impact; the area still retains a multicultural identity but the disparity between the Haves and the Have Nots has never been greater. Personally I miss the more bohemian, arty vibe of yesteryear, but its still a cool neighbourhood with lots to offer. I hope Redon is a welcome addition to the local music scene. ● How can we keep as many people as possible involved in cultural outputs at a time when the area is developing so quickly? Sadly, much of the artistic and creative community who used to gravitate here have been forced out of the area by sky high property prices. Personally I’d like to see live / work artist studios being subsidised to encourage that culture to thrive. Similarly, it would be great if music venues and recording studios were offered some protection and support by the local authorities. The powers that be have to ask themselves: what kind of a neighbourhood do you want this to be ? Vibrant and creative, or soulless and sanitised? ● Are there any nights you’ve had so far in Redon that have really stood out? What makes for a really memorable night from your point of view as the guy in charge? We’ve hosted lots of great nights already, too many to mention in fact. One that really stood out for me was a Movimientos party back in April , with a live show by Let Drum Beat. The atmosphere was electric, and Let Drum Beat totally blew me away. If you haven’t heard of them yet, Let Drum Beat are an all-female, afro Brazilian band with a captivating, distinctive sound – I couldn’t wipe the smile off my face for a week after that gig. ● Are there venues that you really look up to and are looking to replicate, or is Redon looking to strike brand new chords? The Jazz Cafe in Camden is one of my favourite venues, I’ve been to countless gigs there over the years. It’s such an imitate venue, where you feel very connected with the musicians on stage. Total Refreshment Centre (TRC) is another inspiration; their programming is consistently excellent. Sadly TRC have been forced to close, at least temporarily. I’m not sure what the situation is exactly, but I hope they are back open again soon. London can’t afford to lose another music venue. ● What have you got coming up that our readers should be getting along to? We aim to be as eclectic and inclusive as possible with our programming, so I hope there will be something that appeals to almost everyone. In the next few months, we have shows encompassing rock, hip hop, jazz, latin, house, disco and techno, and we’re open to pretty much anything! You can keep an eye on redonlive.com for details of forthcoming events. This coming Saturday (30th June) we are very excited to welcome Brazilian Funk Legend Di Melo to play his first ever UK performance. This gig was scheduled to be take place at TRC, but following their recent issues we agreed to host the gig instead. 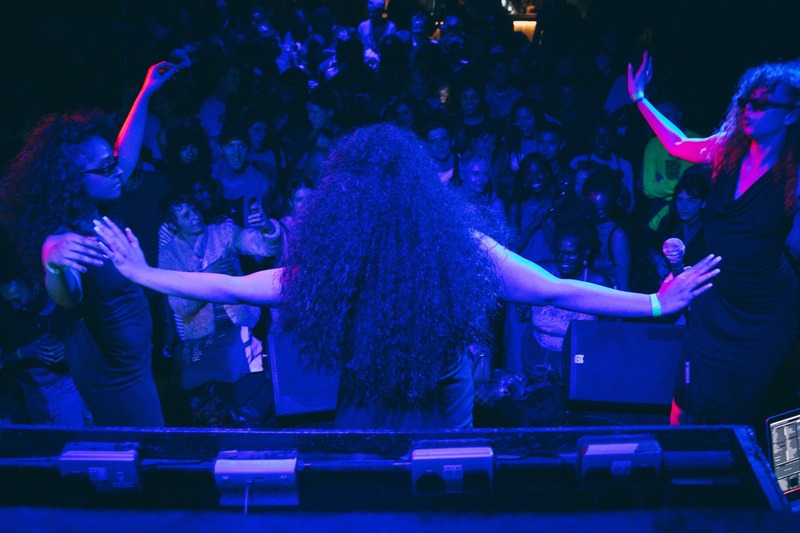 I’d also strongly recommend Shakara Soul on 6th July. Their last party with Tim Garcia was amazing, and this time round they have Cedric Woo from Beauty and the Beat headlining the bill. Finally, I’d like to give a plug to our Queer Cabaret nights, which take place every Thursday. We’ve teamed up with some of London’s best LGBTIQ promoters. who have helped us to create an inclusive and welcoming space for the community. The cabaret performers are often funny, sometimes thought provoking, occasionally outrageous and always entertaining. ● Finally any advice to anyone who’s keen on getting into the music venue game, but who doesn’t know how to get going? Promoting a club night will teach you a lot of the skills you need, so that’s a good place to start. If you’ve managed to get a successful club night off the ground, you’ll be a good candidate for a job working in house at a venue like Redon. When you’re ready to take the plunge and open your own venue – make sure you do a good feasibility study first! These days, all it takes is a few noise complaints to lose your license – so choose your location wisely and think carefully about how you plan to avoid disruption to local residents. This month, we’re launching a new #Hashtag for our Love Bethnal Green To Do lists, to ensure that as many people as possible get wind of the brilliant breadth of activity going on in and around the area. #E2ToDo will be your monthly dose of what’s happening here in Bethnal Green, plus it gives everyone the chance to share their own activity with us so that we can help promote it. Simply tag @LoveBthnlGreen on Twitter or Instagram (no vowels in Bthnl!) and use the #E2ToDo, & we’ll help get the word out. ury. When Bangladesh achieved independence in 1971, these celebrations really took off in Trafalgar Square, and as the Bangladeshi community grew in east London, so did the New Year celebrations, with the largest Boishakhi Mela taking place at Brick Lane in May 1998. This year, for the third year running, the mela returns to Weavers Fields in the heart of Banglatown. Since 2016 the mela has been organised by the council with input from a wide ranging Mela Community Engagement Group and this year yet again, we see a great blend of music, art, food, craft and family friendly activity, celebrating the very best in Bengali culture. 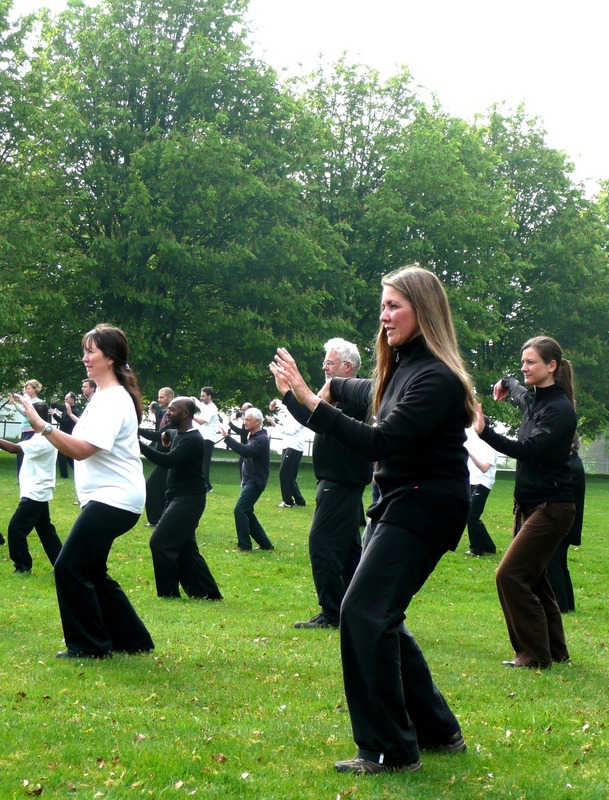 You are invited to practise the martial art of Tai Chi on Wednesday mornings throughout the summer in Bethnal Green. Start your day moving through an energising and calming session with expert James Mills. James started learning Tai Chi with Master John Ding in 2005. He is interested in bringing Tai Chi to the local community for improved health and wellbeing. He believes that Tai Chi is very systematic and holistic in its approach, allowing each student to grow in their own unique way. This practice will take place in the garden of St. Margaret’s House, or in the Mulberry Rooms in the case of bad weather. It’s suitable for all levels, & please wear loose comfortable clothing. Drop-in price is £5, or 6 sessions for £25 through Eventbrite. Join The Grand Union Orchestra for a spectacular new show with performers from across east London. What the River Brings celebrates the waves of migration that have shaped east London over the centuries, and continue to do so today. 70 years on from the arrival of the Empire Windrush, we’ll be celebrating migrants past and present, & their music that’s done so much to shape our culture. With music composed and arranged by Tony Haynes, this show will be performed by people from those communities that have settled here. What the River Brings tells of their experience and the stories of the East End, through music and song that conjure up both the hope and the hardships felt. East London homelessness charity, Providence Row, shares an exhibition of beautiful and innovative work by members of their learning and wellbeing groups at E2 institution Rich Mix. Providence Row is a homelessness charity just down the other end of Brick Lane. It provides a range of services for those affected by homelessness, including a vibrant and creative learning and wellbeing programme which offers a range of groups in art, music, writing, discussion and much more. This exhibition shares with you some of the brilliant work made in these groups. This is art from the heart of E1, & we can get behind this activity despite the postcode, because we’re so behind the cause. Love Carnival is a regular party providing your recommended dose of tropical uplift, bringing in top international and homebrewed guests from the world of tropical bass music. DJs on the night will be running through the spectrum of fresh tropical riddims from Cumbia to Afrobeats, Dancehall, Moombahton and much more. This dance takes place at excellent Bethnal Green based venue, Redon, on Cambridge Heath Road. It’s well worth a look, with an exemplary soundsystem and a welcoming team, plus it’s only a short walk from Bethnal Green Underground. We’re giving away 2 sets of tickets to Love Carnival. Just get in touch here & tell us why you should win. We’ll announce the winner on Wednesday 25th July. LoveBethnalGreen.com has a new weekly interview format, which will explore the great stuff that’s happening across the E2 area. It’s for those who don’t want to go deep, but want to be in the know. First up, we have Oxford House. We caught up with CEO John Ryan so that he could test drive the Bethnal Greeners format. Each interviewee will be given 5 simple headings to respond to in no more than 30 words, offering our readers an angle on their past, their present and their future, all shot through with why it is they love Bethnal Green. Easy as that. Here we go then…. Oxford House was established in 1884 as the first “settlement house” where students and graduates from Keble College, Oxford undertook a period of residential volunteering to learn first-hand about the realities of urban poverty. We provide affordable office space to organisations. We’re also a multipurpose arts centre with a theatre, gallery and dance studio. We provide a range of volunteering opportunities where you can gain valuable work skills. We’re part of the furniture in Bethnal Green, & have been for over a century. We look to reflect the community in our programming and in who we host, and always will. Long live Bethnal Green! As a charity, we understand the need for flexibility and the importance of good value for money. For where we are, you’d struggle to find a better deal on space and we’re proud of that. We have exciting times ahead, with Heritage Lottery backed renovations on our Grade II listed building starting now! (see below!) 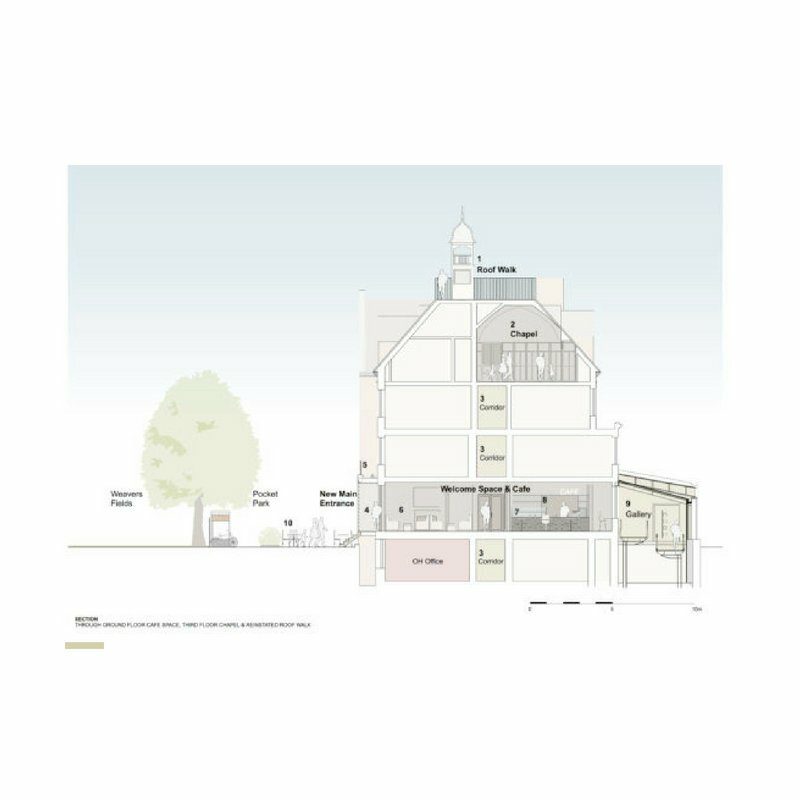 We’ll have new cafe, offices and roof terrace for the community by 2019 + a new Cultural Programmer. “You, Me, The World & Tower Hamlets” – come & hear what’s on the Borough’s mind..
Take Stock Exchange have been busy. They’re a socially responsible organisation, all about increasing empathy and creating space for what they call ‘dialogue through difference’. 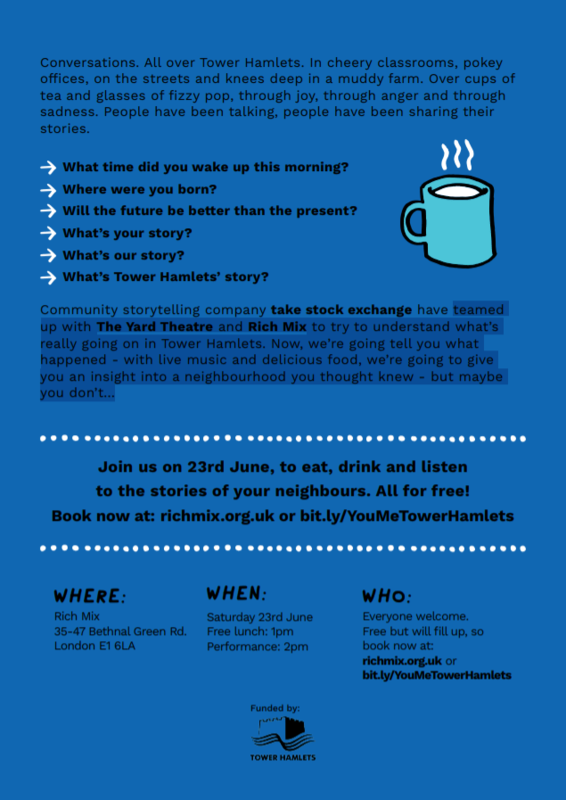 They’ve got an event on this Saturday 23rd June, when they’ll be sharing the results of their listening project at Rich Mix, on Bethnal Green Road. Hello TSE crew! Tell us about what you’ve been up to in Tower Hamlets? 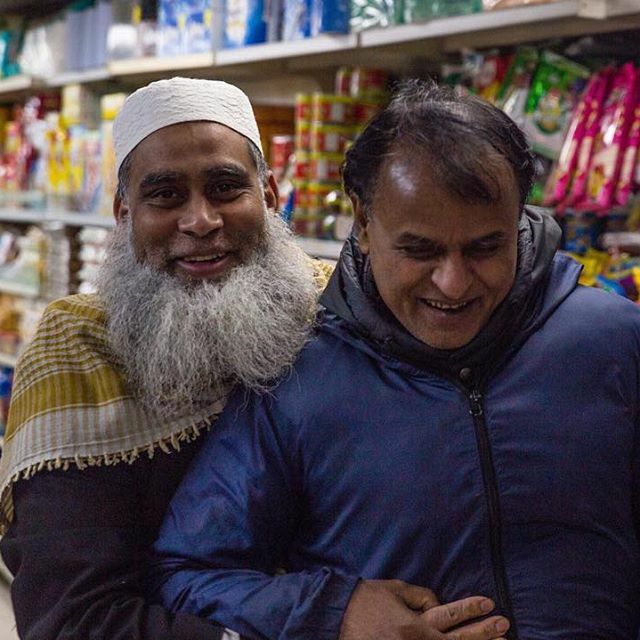 Tower Hamlets in an extremely diverse part of London that has gone through change after change after change. It has seen nearly every immigrant group come through and was one of the first places in the capital to see gentrification. People have always talked about the area in terms of figures and facts. But what about the people. The people that have lived here forever, the ones that have arrived recently, the ones that work here, and all the others. We wanted to meet them. Hear their stories. Hear about what they think, feel and can reveal about the area. And what’s amazing is both the similarity of the things we hear, but also the huge differences – and this project is all about enabling everyone to hear that huge diversity of voices. Why Tower Hamlets, and how are you finding working in the area? 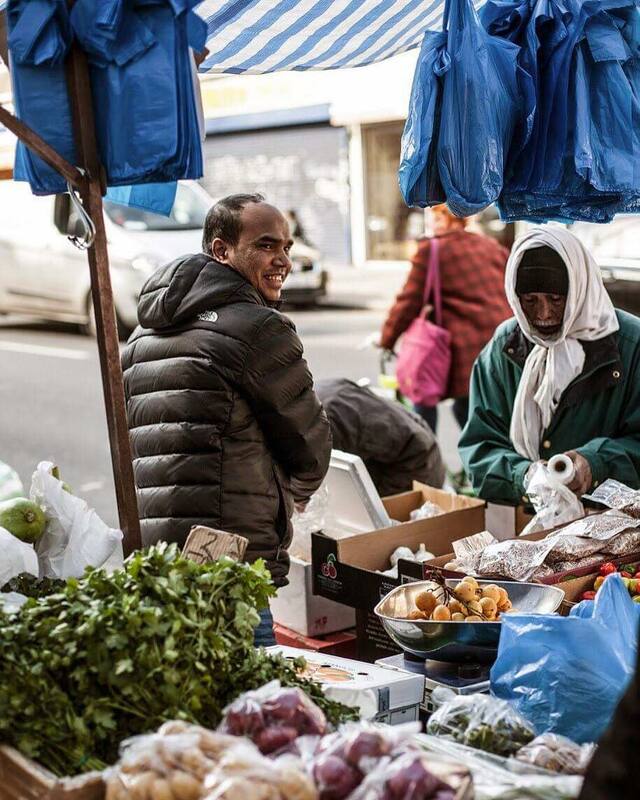 We’ve been working in East London since 2013, and we set out with two aims – that have remained the same ever since: to increase empathy, and create what we call a ‘dialogue through difference’ – whatever that difference might be. In that time what has become clear to us is that you can live next door someone for many years and know nothing about them, you can work with someone for years and know nothing about them, you can have no idea of the amazing stories of struggle, success, joy, anger and sadness belonging to the thousands of strangers you walk by on the street everyday. What if you did? This is no different in Tower Hamlets. We want to help people to understand each other a little better in this area which has a multitude of different people all living together – a multitude of communities living within one bigger community. So, we have met a array of groups and people spanning different ages, economic situations, ethnicities and cultures. We asked them all the same questions and they all gave answers… some similar, many different… all fascinating. We’re into it! What’s the concept for the event on 23/06? At Rich Mix on the 23rd June at 1pm we will share a meal. After that, at 2pm, accompanied by live music, we will share some of the stories we have heard from the people we have met over the last year. Stories about survival, friendship and struggle. Stories about change, love and the future. It will be an opportunity for people to meet, eat and chat, and hear the stories of their neighbours. And it’s all for free – that’s very important to us, that this work is free for all to access and hopefully learn from. Sounds like a lovely format. What have you got coming up later this year? We are committed to the communities of London. We have worked in Redbridge, Newham, Hackney Wick and now Tower Hamlets. We will continue to collect and tell stories bringing understanding and empathy to our city. Love Bethnal Green and Oxford House are looking for a Marketing & Communications Freelancer to join the team for 2 days a week between now and March 31st 2019. We’re on the hunt for a social media savvy communications freelancer who is passionate about east London, to join the team part time to work on the ‘Thriving High Streets’ programme – that’s our partnership with London Borough of Tower Hamlets. This role is the ideal stepping stone for someone looking to build experience in blogging, communications, social media, as well as building an understanding of local government. It’s paid London Living Wage of £10.20 / hour and applications are open until noon on Monday 25th June. Key Objectives: Furthering the partnership with London Borough of Tower Hamlets, supporting local business & increasing footfall in Bethnal Green. Thank you for your interest in this role. Oxford House is looking for a social media savvy communications freelancer who is passionate about east London, to join the team part time to work on the ‘Thriving High Streets’ programme. This role is the ideal stepping stone for someone looking to build experience in blogging, marketing, communications, social impact and public services. This role is to be delivered on a freelance basis, and as such the successful candidate will take responsibility for paying their own national insurance and income tax contributions. Passionate about community, with an interest in supporting local community activity. With a passion for Bethnal Green & for east London, the ideal candidate will live locally. Experienced with social media and happy to manage Love Bethnal Green’s channels independently, including Instagram, Facebook & Twitter. Confident and able to work autonomously, and always a positive team player. Organised and able to manage time very effectively. The role will include the following tasks, and flexibility will be required as the candidate takes on other tasks as the role and the project develops. To apply, send a short supporting letter (200 words max) explaining your suitability for the role to joe.gray@oxfordhouse.org.uk. Please include an up to date CV as an attachment (max 2 pages) with detail of 2 x referees who can be contacted upon offer of the role. The deadline for this role is 12 noon, Monday 25th June. Interviews will take place week commencing 2nd July at Oxford House, Derbyshire Street, E2. This is the first meeting we’ve had for a while, as we’ve been preparing our work for the coming year or so. We’re looking forward to sharing our plans with you, and hearing your news too – so please do come armed with updates on your business and your projects that we can then support via some promotion. Training opportunities; what is available from LBTH for local business to access? Characteristics of Bethnal Green; what needs particular attention & what can be done to support? Promoting footfall; Profiling local businesses, getting pragmatic around Halloween, Christmas and Valentine’s, and key events later in the year. ‘The Green’ will run for an hour or so, starting at 6pm. The meeting takes place at Oxford House, Derbyshire Street, E2. The Common House is aiming to get people involved in working collaboratively & contributing to the running of their Riso’ Print Club. If interested, you should come along & understand what they do first, learn how the print machine works & agree to teach other people how to use it in return. Once introduced, it may be possible to print some of your own work but the emphasis here is definitely on working collaboratively, creating a visual commons & becoming a contributing member rather than just a consumer. This is a gathering that would suit E2 residents interested in exploring being radical and being grass roots. Come & participate in the monthly meeting of ‘The Green’, to hear how LBTH plans for Bethnal Green are developing. If you are a business owner, come & represent your business & share your ideas with us. If you’re a resident, come & have your say on the issues that are important to you. The strength of these meetings is in the guest list, so please do share this opportunity far & wide; businesses, residents, organisations – all welcome. Quaker Social Action provide free hands-on cooking classes, improving confidence & getting you eating better for less. Over four weeks, Bags of Taste will have you cooking great-tasting simple recipes from all over the world, all at less than £1 a head. The sessions are relaxed & friendly, no F-words – we promise! They’re filled with people who want to learn new recipes & ways to save on their food shop. Whether you’re vegetarian, vegan or eat halal, the team will have something fantastic for you. This unique gathering is organised jointly by the Gronthee, a leading literary magazine, together with one of the foremost groups of little-magazine & experimental poetry in Bangladesh & RadhaRaman Society. A critically acclaimed platform here in UK will bring the splendour of Bengali Folk Music to the Bethnal Green stage. The event also offers critical discussion on the current trend of experimental poetry in Bangladesh. The evening features performance from some of the most prominent Bengali poets of the 90s, an extremely fertile decade in Bengali poetry, The evening also includes a guest poet from Bangladesh – Zofir Setu.